I've been approached with reports that Italian publisher NG International, which publishes games under the Nexus Games brand, is in trouble and liqudating stock. My request for information from Andrea Fanhoni, PR rep for NG International, bounced with this message: "This mail address is not active anymore." Hmm. 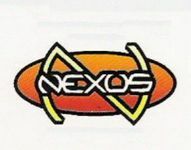 Additional inquiries brought reports from two sources, one stating that Nexus Games publisher Roberto Di Meglio is no longer with the company and the other stating that reports of liquidation are correct. 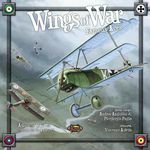 I'm still awaiting official confirmation of these reports from a NG International representative as well as information about what might happen with current stock, the company's current line of games, and the fate of games announced in February 2011 and the Wings of War line; Nexus Games had announced in June 2011 that it was taking over distribution of the line in English from Fantasy Flight Games, but now...?